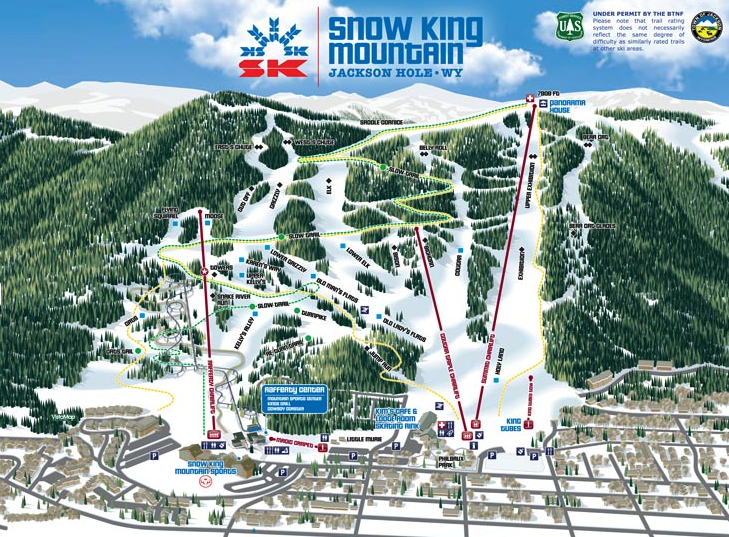 Snow King Mountain Resort is located in downtown Jackson Hole and boasts 400 skiable acres. In addition to skiing and snowboarding, Snow King winter activities include snow tubing and an alpine slide. Did you know? When the sun goes down, Snow King turns on the lights and allows night skiing from 4 p.m. until 7 p.m.